Bondi Shores offers Cheap Accommodation in Bondi junction, Our services are basically for backpackers who are looking for quick cheap accommodation in Bondi junction. We have all the safety lockers for your personal belongings. Our staff is well trained and very friendly to help you out with your Bondi junction Accommodation in Sydney. Just ask at the reception for any advice and we are more than happy to give out all the information and also help you with the Cab services.., No doubt Accommodation Bondi is very famous for the tourists. Obviously Accommodation in Bondi Junction has a lot to offer to its visitors with numerous bars and cafes. Bondi shores is located very close by to the Bondi Beach and its very convenient to go to the beach. It is quite a challenge to get accommodation in Bondi junction during the Christmas Period as we are very busy during the Holiday season. Our prices are much higher compared to the normal season. Do check with our staff as we will be more than happy to help you with the all your questions. 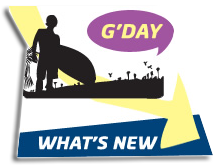 Any concern about the holiday which you are planning near Bondi junction, do give us a call. We encourage all kinds of tourists for the accommodation services and take good care of them. We will be requiring your documents as that has been our policy just like any other accommodation services in Bondai. 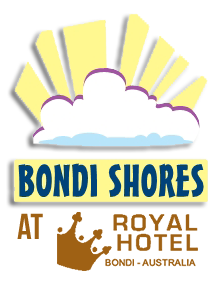 If you are looking for Bondi junction Accommodation then Bondi Shores is a place for you. The advantage of staying at our hostel is that you can have access to all the shopping malls and the famous tourist spots as we are located close to all these hangouts. All we can say is Immerse yourself under the Australias golden sun and spend all day lazing on the beach or having fun in the surf. Sydney has been a favorite destination for most of us and the temperature is pretty nice as it is neither too hot or cold and this moderate temperature is what we keeps us energetic and people love this kind of temperature.